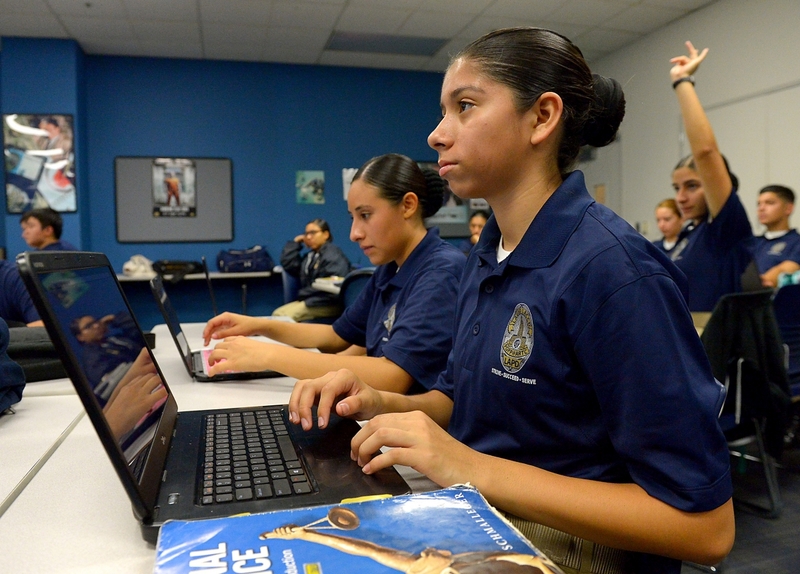 A new program set up by the Los Angeles Police Department in conjunction with the Los Angeles Unified School District and the Los Angeles Community College District trains high school students who are interested in a career in law enforcement to get a head start. The Police Orientation Preparation Program was started over four years ago to help students complete the required coursework to become police officers. The requirement to become an officer is an associate’s degree. “Along with such classes as police administration, community relations and outdoor physical training, students also study English, psychology, writing and economics,” the Los Angeles Times reports. The idea is to prepare students and then funnel them to police recruiters who can then help the aspiring cadets prepare for the police officer exam and, potentially, the police academy. The academy is usually a six-month-long training program that requires cadets to be at least 20-and-a-half years old when they enter. And students appear to be responding well and enthusiastically to the program. The first, and only, of its kind program was started by Westchester high school student Roberta Weintraub. The 14-year-old student board member was interested in expanding the current magnet school programs that would teach students about careers in law enforcement. She raised $1 million to start the program and now serves as the executive director of an organization that advocates to the increased presence of these kinds of programs in schools.